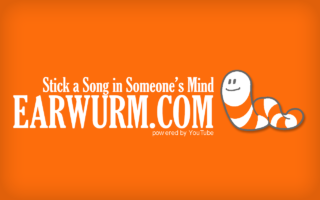 Earworms: songs, jingles, melodies and tunes that get stuck inside your head. Sounds familiar? How to get an earworm? Earworms: songs, jingles, melodies and tunes that get stuck inside your head. Sounds familiar? Studies by marketing professor James J. Kellaris show that nearly 98% of people have had songs stuck in their head. His studies demonstrated that different people have varying susceptibilities to earworms, but that almost everybody has been afflicted with one at some time or another. Earworms seem to be very personal – each person tends to be haunted by his own demon tunes. Ohrwurms: Ich habe einen Ohrwurm! Humbugs: The humbug kept me awake all night! Aneurhythms: This aneurhythm is bad, bad, bad. Musical Hook: My head is on a musical hook, man! Involuntary Musical Imagery (INMI): It appears she’s experiencing some sort of Involuntary Musical Imagery, doctor. Tune Wedgies: I caught a tune wedgy on my way to work. Sticky Tunes or Sticky Songs: I woke up with a sticky tune. Cognitive Itch, Brain Itch or Auditory Itch: Somebody scratch this awful auditory itch! Chiclete De Ouvido (‘Ear Chewing Gum’): Maldito Chiclete de Ouvido! Music Memes: Reports are rushing in that the music meme is spreading fast. Song In My Head or Tune In My Head: I have a song in my head. Head Songs: Whassup with yer head song? Obsessive Musical Thought: She could not resist thinking obsessive musical thoughts. Repetunitis: Repetunitis is a serious condition often affecting listeners of Lady Gaga and Justin Bieber. Music Virus, Sound Virus or Viral Music: The music virus is everywhere! Stuck Tune Syndrome or Stuck Song Syndrome or Last Song Syndrome: Today we will study the effects of Stuck Tune Syndrome. Melodymania: You’ve turned into a bloody melodymaniac! Haunting Melody:I lay awake hearing the dreaded haunting melody. What is your favorite earworm synonym? Type a new synonym or click an existing one below and then press submit. Many people wonder how a song gets stuck in their head and won’t let go. There are many theories, some more plausible than others. Virtually any song can become an earworm. However, songs that are simple, repetitive, and contain some incongruity are most likely to become stuck (Kellaris, 2003). Did you know that some songs are specifically written so that they contain a musical loop? Additionally, some people are said to be more prone to earworms than others, indicating that the phenomenon may be an interaction of musical properties and individual traits, rather than the result of musical properties alone. One major cause of getting stuck with a song is exposure. Simply hearing the song will trigger your auditory itch. The freaky fact is that even the tiniest fragment of a song, an earwurm is enough to leave you humming for days! Somebody’s crappy whistling, a car driving by with the stereo on, a shop you visit, earwurms are all around you. But not all of them you can hear. There is also lyrical exposure. Just read the words “stop” (in the name of love), “sorry” (seems to be the hardest word) or even “why do birds…” (aargh). Many earworms spread through such (unintended) subliminal messaging. You read or hear a couple of words and Boom, Boom, Boom, Boom, you’ve got the humbug. Twitter is a particularly notorious supplier. And then there’s the phenomenon of waking up humming something like La Da Di La Di Da. What happened while you were sleeping? Did your radio alarm clock play the song to wake you up? Did your brain started rearranging all the songs you know to make more space and started playing one by accident? Is it really an earworm that crawled inside? Or did you forget to pay the the Tune Fairy? Who knows? Midomi lets you sing or hum into the microphone and will then identify the track. Just hit the “click and hum or sing” box and do your thing. Audiggle is an application which can instantly tell you the song and artist name of anything playing on your PC. It captures a short clip of whatever audio is playing on your PC and will then search its database of similar clips, returning the answer. Musipedia offers five ways to identify your music, such as playing notes on a virtual piano, rythmic tapping on your keyboard, drawing musical notes on a scale and a melodic contour search using Parsons Code. Tunatic is free downloadable application for Mac and PC. Simply launch the app and blast your mic with the tune you want identified. Shazam is a populair music identification application available across a variety of mobile devices such as iPhone and BlackBerry. Just download the app, load it up, and hit “tag now” at which point Shazam will listen for about 10 seconds before identifying the track. Through NameMyTune.com you can identify a song by recording and uploading your 10-second clip so that another user can email you if he or she recognizes the song. You can also listen to recordings others have made. All you have to do is tap the song rhythm on your computer keyboard and SongTapper does the rest. After tapping is complete you will see a list of matching songs. It is claimed that thousands of daily visitors find it very helpful. Music recognition + LiveLyrics® for music playing around you. SoundHound can even identify songs you SING or HUM. Escaping from your haunting earworm is difficult. Every earworm is unique, has a different origin and has a different goal and came to you for a reason. There are no proven earworm exorcising methods, but many urban legends on getting rid of your earworm can be found online. According to this article women, musicians and people who are neurotic, tired or stressed are most prone to earworm attacks. This suggests that the easiest way to get rid of your earworm is relax and get enough sleep, stop making music or – probably the most difficult – stop being female. Supposedly the intense flavor seems to be distracting that part of your brain. Listen to Staying Alive by the Bee Gees. Sing aloud as many earworms as you can think of, without stopping. Your brain will get overwhelmed and the mishmash of tunes will cancel each other out and you’ll be left in peace. Don’t Cry for Me, Argentina is known for it’s disturbing effect on the earworm. Simple give it to someone else. Listen to the ever so funny Badger Badger Badger song. Earworms do not enjoy badger-parties. Do not resist the earworm. The more you try to get rid of an earworm, the more persistent it can become. Count backwards from 100 (or another suitably large number) by 7s. Use the Hair-in-my-soup three-step approach: Embrace it, Cancel it out or Pass it along. Close your eyes and pray to the anti earworm gods. Ancient Mayas believed there were gods that helped overcoming earworm damage. Buy an iPod or small pocket radio and bring it with you all day. Or play piano. Earworms tend to be silent when other music is present. They probably like a good song like everyone else. Picture the earworm as a real creature crawling out of your head, and imagine stomping on it. Go to the Eiffel Tower. No person has ever been reported to be having an Earworm on this massive steel building. Why do songs get stuck in your head? Consumer Science. “Who Let the Earworms Out?” December 2, 2005, pg. 14. Kylstra, Carolyn. “Change that Tune. Parenting. November 2007, Volume 21, Issue 10, pg. 83. Scientific American Mind. “Why is it that after listening to music, the last song you hear sometimes replays in your mind for several minutes after the music stops?” 2007, Volume 18, Issue, 2, pg. 86.